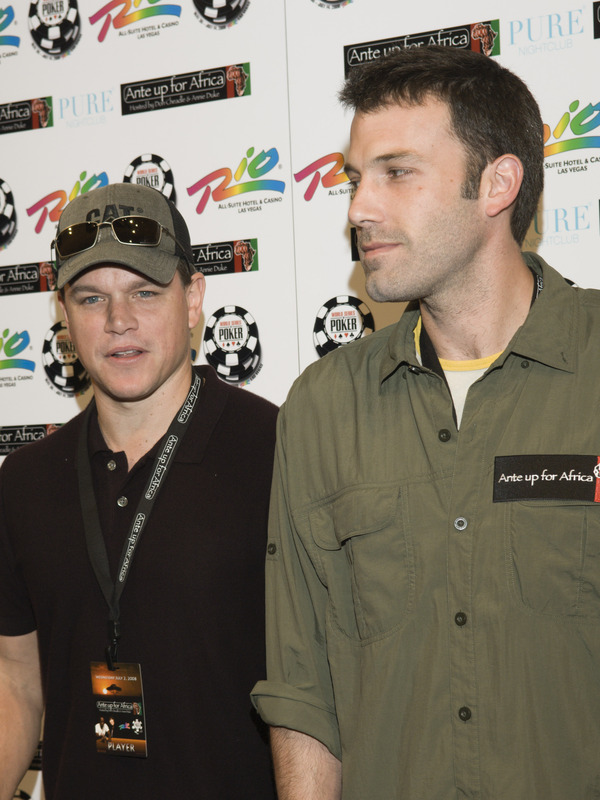 Matt Damon and Ben Affleck took part in Ante Up for Africa, a No Limit Texas Hold-Em tournament put on by the World Series of Poker. All of the money raised benefits survivors in Darfur and Sudan, and also helps fund efforts to end the crisis in Africa. 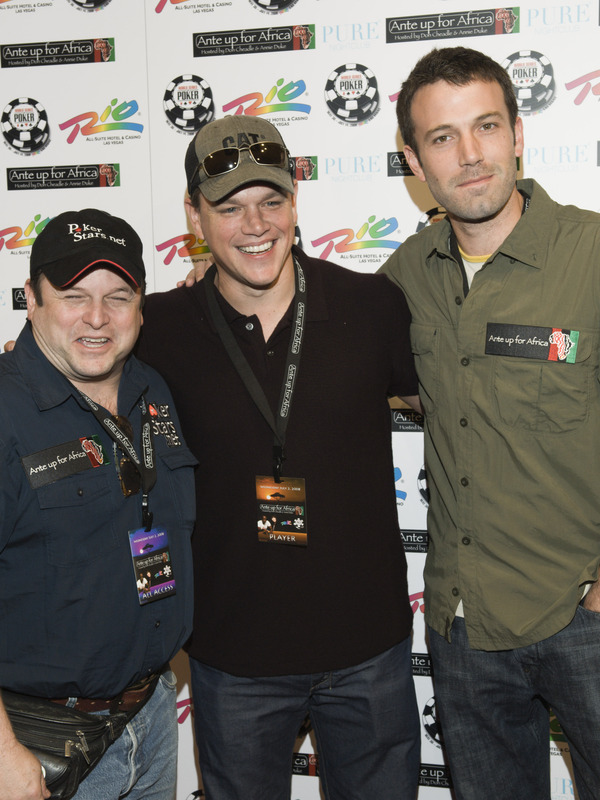 Jason Alexander, Matt Damon and Ben Affleck are just some of the celebrities that took part in the Ante Up for Africa poker tournament in Las Vegas. 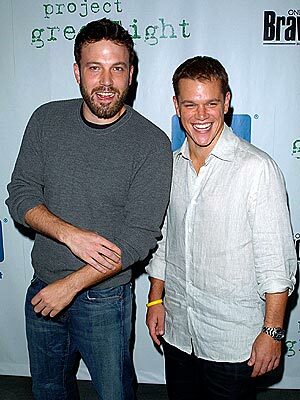 Matt Damon and Ben Affleck attended the world premiere of Dimension Films movie Feast. The event was held at the Brenden theaters inside the Palms Casino Resort in Las Vegas. 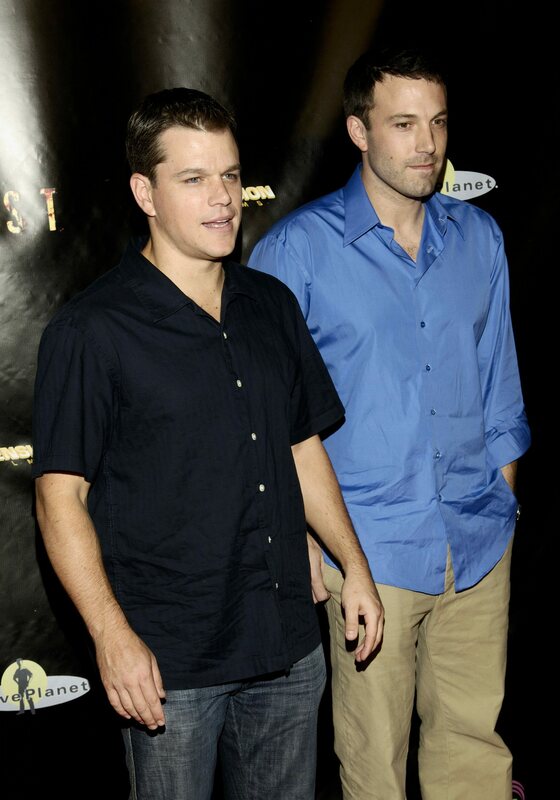 Ben Affleck and Matt Damon were in Las Vegas at the Palms Casino Resort for the premiere of Feast. The film was the winner of the third season of ‘Project Greenlight’ on the Bravo TV network. Ben and Matt are the producers of the series. Ben Affleck and Matt Damon hung out in Vegas at the premiere of Feast. The star-studded night was held at the Brenden theaters inside of the Palms casino. 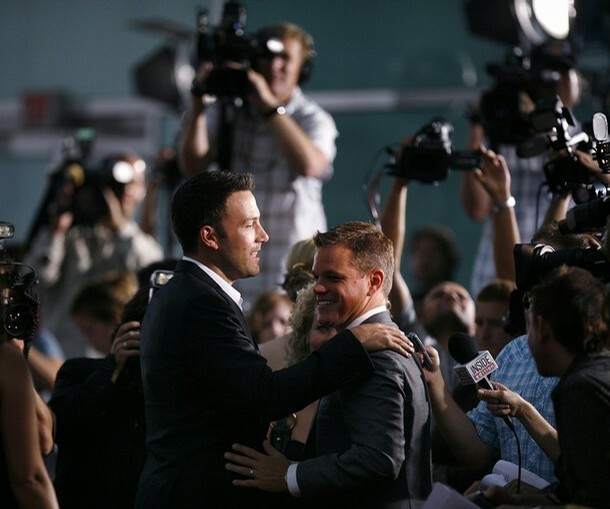 Best friends Ben Affleck and Matt Damon hit the red carpet at the Feast world premiere in Las Vegas. The movie was the winner of Project Greenlight on the Bravo television network. 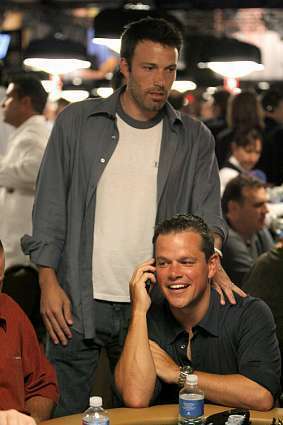 Project Greenlight is produced by Ben Affleck and Matt Damon. Ben Affleck looks bold in blue as he talks to Matt Damon at the Palms Casino Resort in Las Vegas. The two celebrities were in attendance at the premiere of the Dimension Films movie Feast. 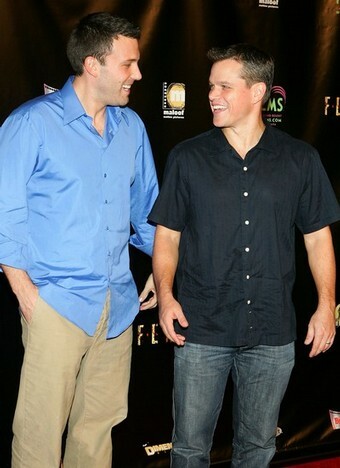 Ben Affeck and Matt Damon hang out at the Feast premiere at the Palms in Las Vegas. The movie was the Project Greenlight winner for Bravo TV. 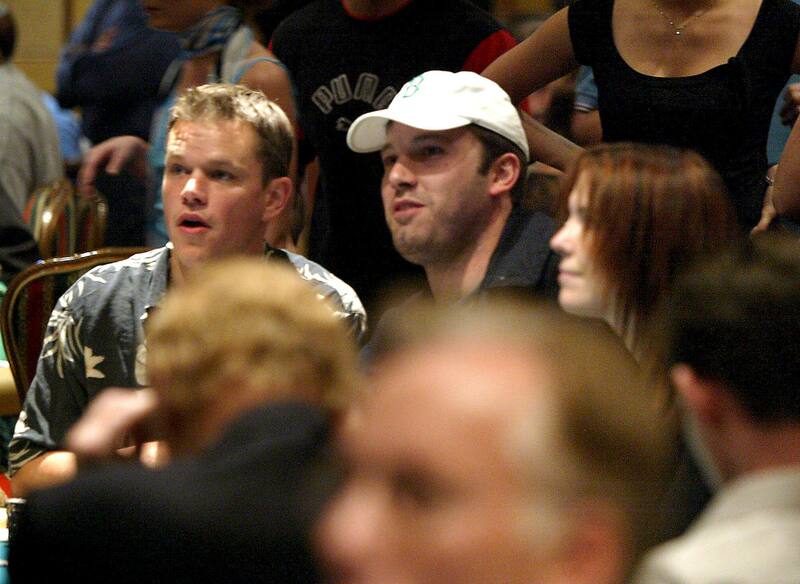 Matt Damon and Ben Affleck play poker in various tournaments, including celebrity and charity events. Damon also starred in the poker movie, Rounders. Matt Damon and Ben Affleck made a name for themselves in Hollywood when they wrote and starred in the movie, Good Will Hunting back in 1997. But they appeared in other films previously, including School Ties. 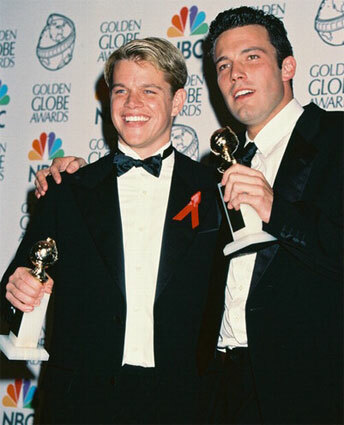 Matt Damon and Ben Affleck took home Golden Globe Awards for Best Screenplay for their film, Good Will Hunting. The 1997 film sparked their acting and writing careers. 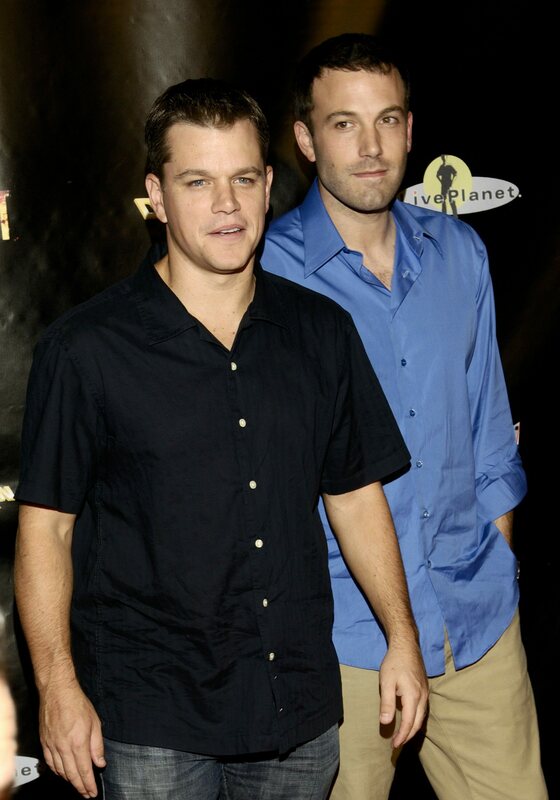 Ben Affleck and Matt Damon were some of the many celebrities in Las Vegas for the premiere of the film, Feast. 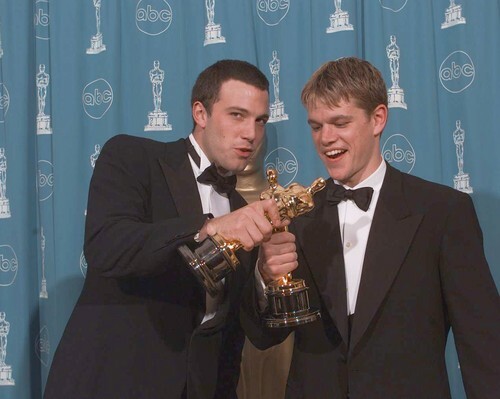 Matt Damon and Ben Affleck took home the Academy Award for Writing Original Screenplay for their movie, Good Will Hunting. They wrote the screenplay, as well as starred in the film. 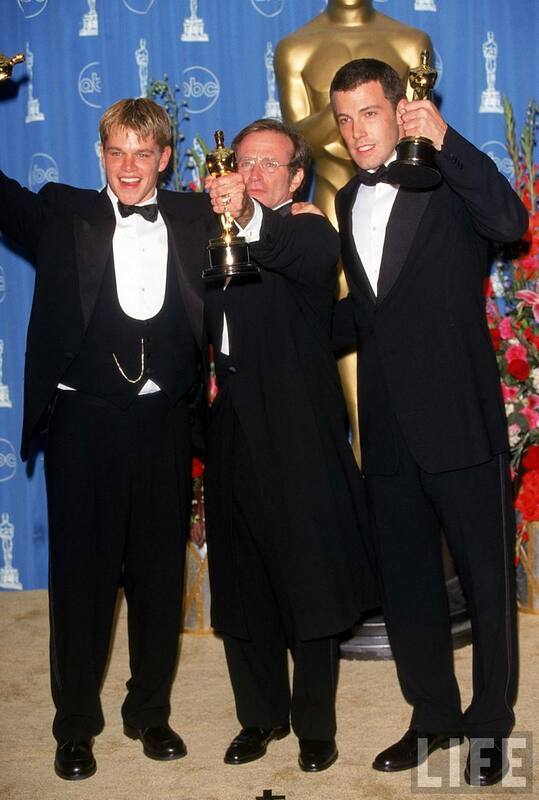 Matt Damon and Ben Affleck took home the Academy Award for the Best Original Screenplay for Good Will Hunting. 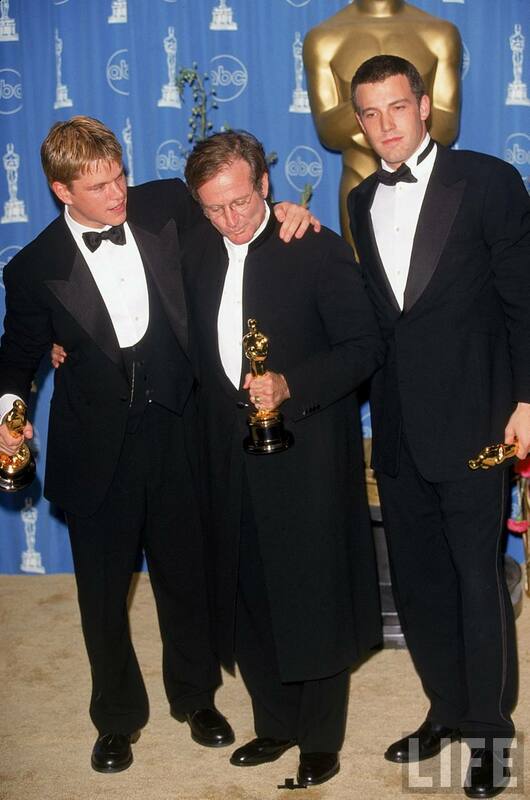 Robin Williams (middle) also won the Oscar for Best Supporting Actor in the film. For the 1997 movie Good Will Hunting, young Matt Damon and Ben Affleck took home the Academy Award for Best Original Screenplay. Veteran actor Robin Williams also won the award for Best Supporting Actor. Critics and moviegoers alike loved Good Will Hunting. 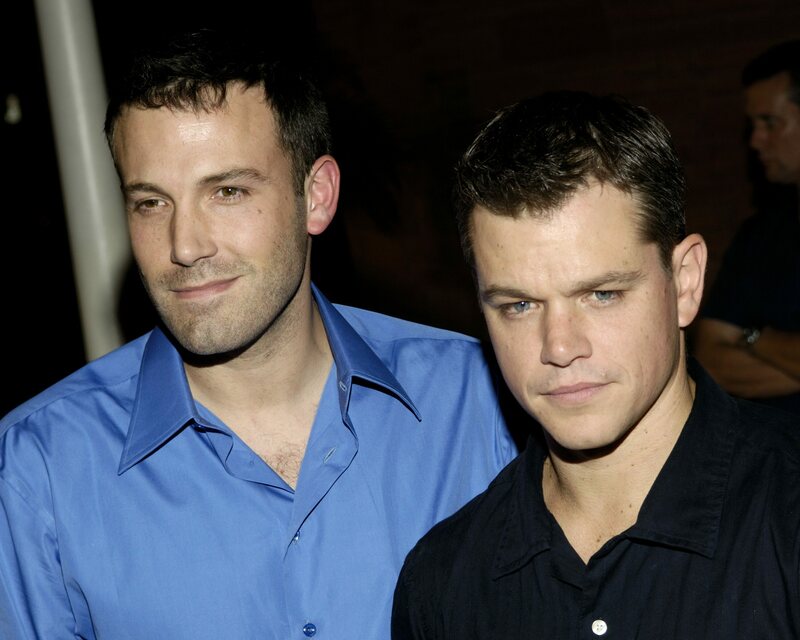 Ben Affleck and Matt Damon took home an Academy Award for the screenplay of the 1997 movie. 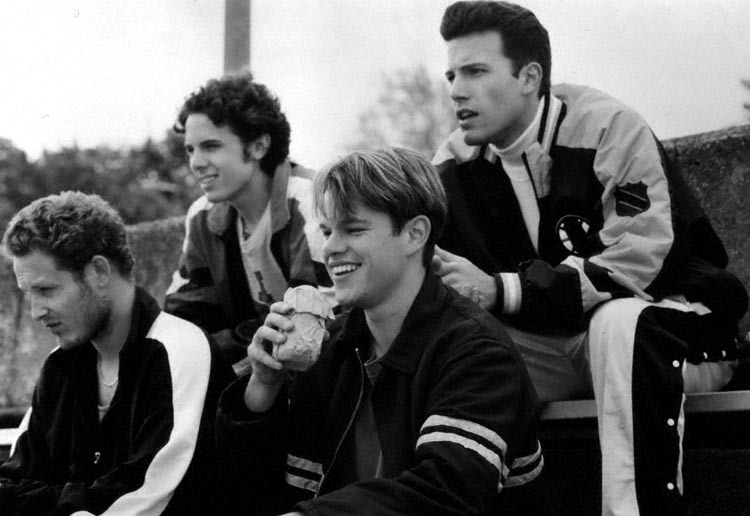 Young stars Ben Affleck and Matt Damon starred and wrote the screenplay for the 1997 hit film, Good Will Hunting. The twosome took home the Oscar at the Academy Awards. 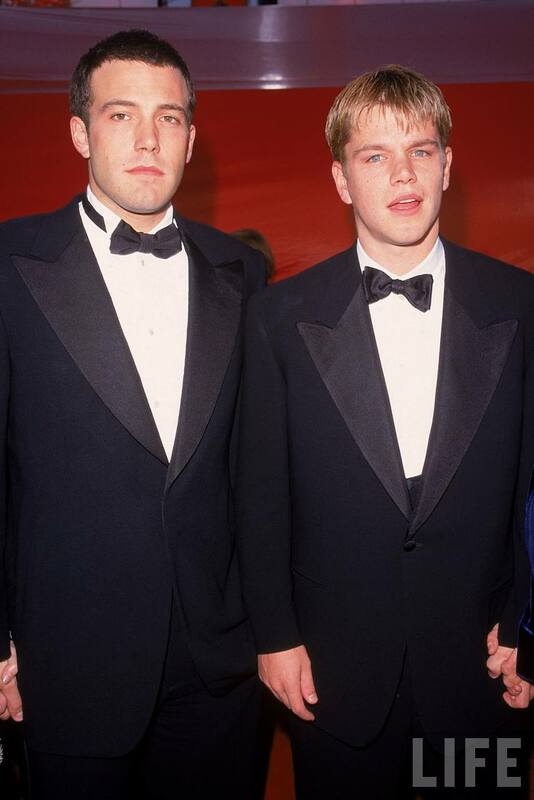 Young Ben Affleck and Matt Damon put on their tuxedos and hit the red carpet for the Academy Awards back in 1998. 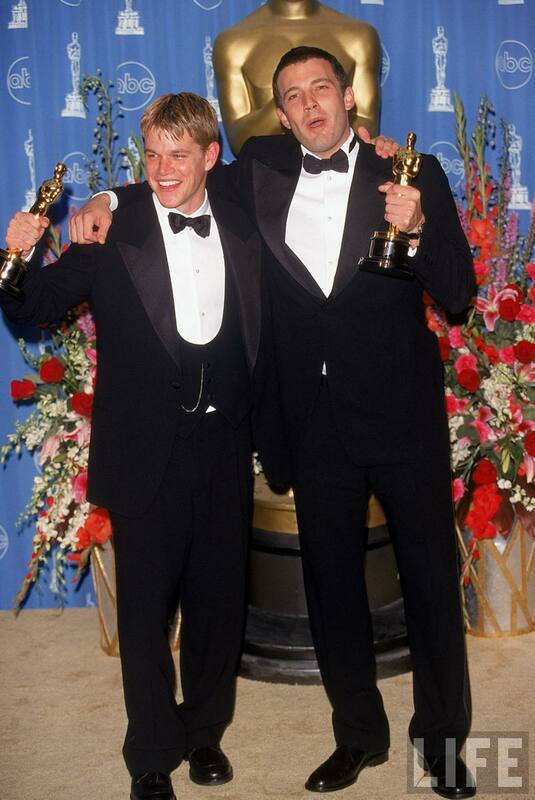 The duo took home the Oscar for Best Original Screenplay for their 1997 movie, Good Will Hunting. 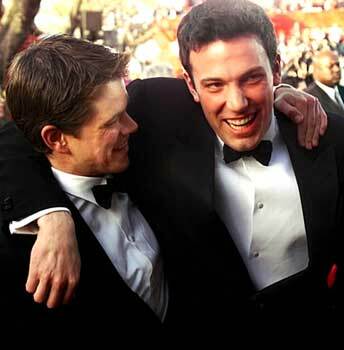 Friends Matt Damon and Ben Affleck have attended many awards shows and movie premieres together over the last decade. The duo continues to work on a variety of projects together and separately. 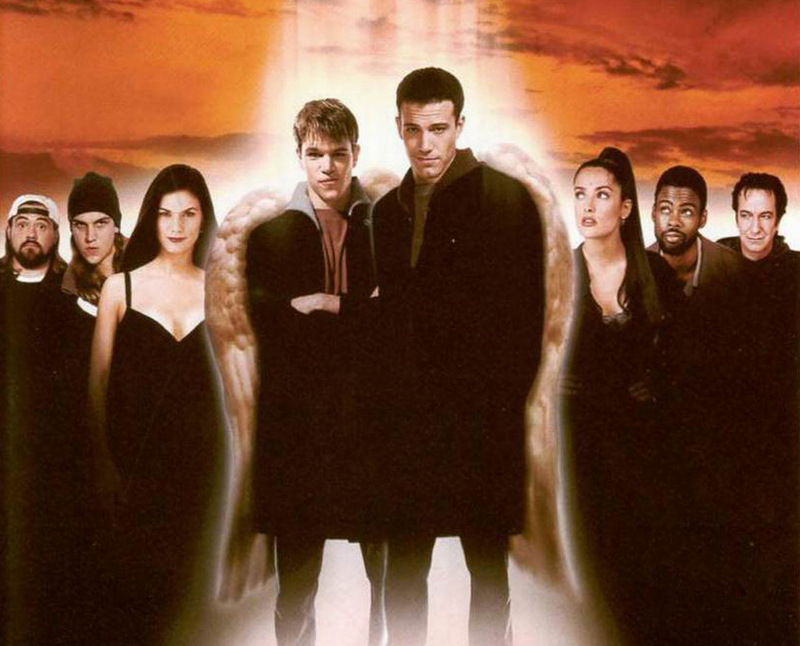 Matt Damon and Ben Affleck were part of the ensemble cast in the Kevin Smith film, Dogma, back in 1999. The satire of the Catholic church caused some controversy and protests around the world. Ben Affleck and Matt Damon take part in a scene of Good Will Hunting. The movie won many awards for the Damon-Affleck original screenplay. 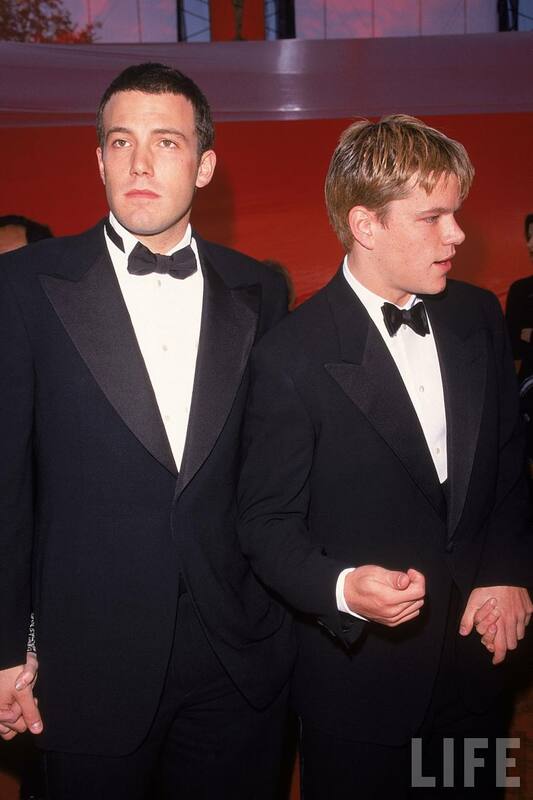 Matt Damon and Ben Affleck were decked out in tuxedos for the Academy Awards show. Project Greenlight is a documentary series and contest which focuses on amateur filming making. After two season on HBO, the series, which is produced Matt Damon, Ben Affleck and Chris Moore, moved to Bravo. 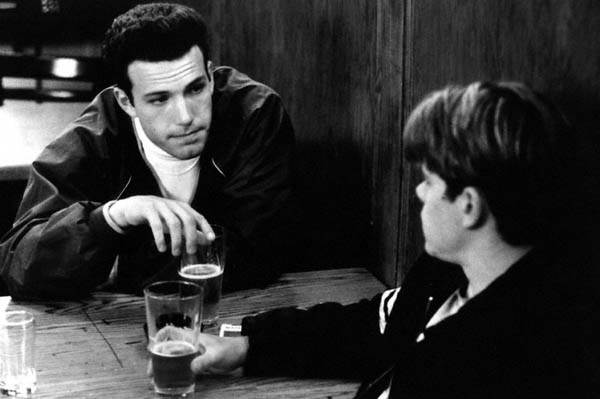 Ben Affleck and Matt Damon’s characters have a beer in a scene from Good Will Hunting. The movie gave a big boost to the duo’s writing and acting careers. Ben Affleck reaches out to Matt Damon. Damon wears a pair of stylish sunglasses. 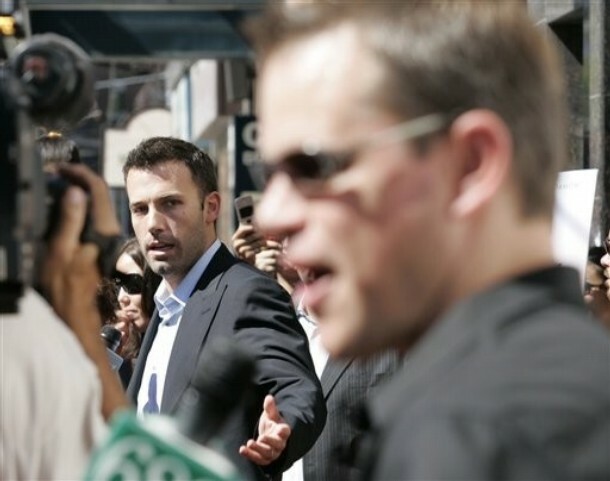 With superstar status, cameras and microphones follow Ben Affleck and Matt Damon everywhere. Here the two are surrounded at a premiere event. 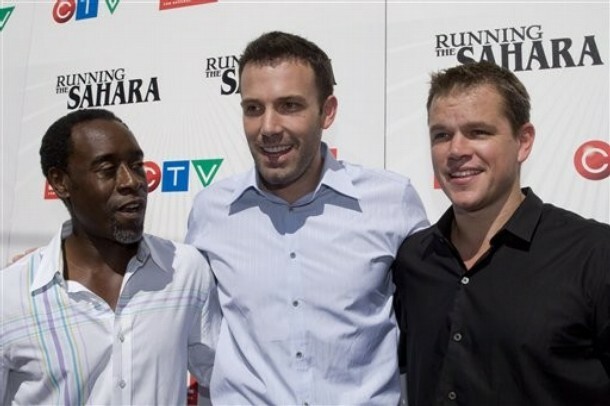 Don Cheadle, Ben Affleck and Matt Damon attend a presentation of Running The Sahara during the Toronto International Film Festival in September 2007. For the 1997 film Good Will Hunting, Ben Affleck and Matt Damon took home the Academy Award for Best Original Screenplay. 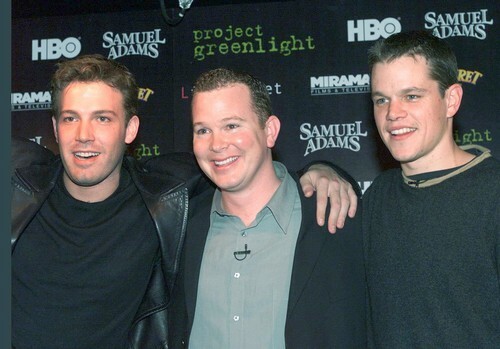 Ben Affleck and Matt Damon are the producers of the Project Greenlight series. The series is a contest and documentary series focusing its attention on amateure filmmakers.